ICE continues its R&D contract with a Norwegian client to validate and further develop the innovative DeltaLifter, a single-lift vessel designed for safe and economical removal of decommissioned offshore platform substructures (“jackets”). Recently, ICE commissioned a model test at the towing tank at the “Dunarea de Jos” University in Galati, Romania and also placed an order for an animation video to show the operating principle. 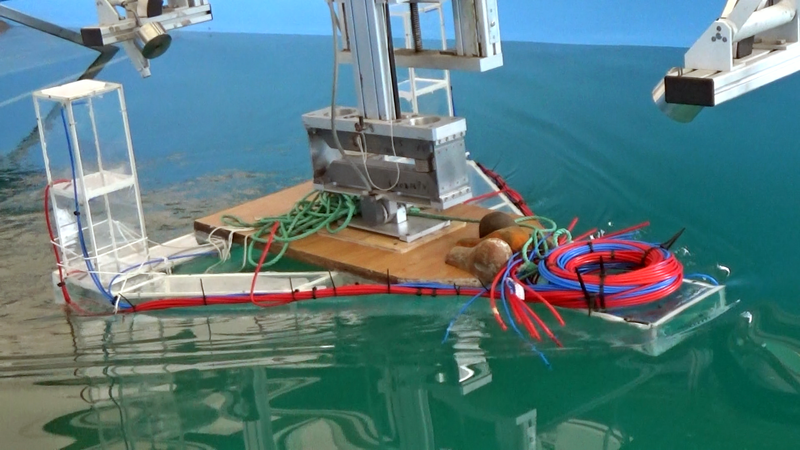 The unmanned DeltaLifter uses buoyancy to uplift decommissioned jackets and serves as a barge for towing ashore and transfer jackets onto recycling sites. By eliminating underwater work and the need for expensive heavy-lift crane vessels and barges, the patented DeltaLifter will in many cases increase safety and significantly reduce costs of offshore jacket removals. More information is available at www.deltalifter.com.